On August 22, Dover held its third Open Streets Restoring Central Dover event of the summer themed as “Back to School.” Open Streets temporarily closes down a few city streets to car traffic and opens them up to people to participate in fun fitness-related activities including moon bounce, Wesley’s Rope Course and life-size games. 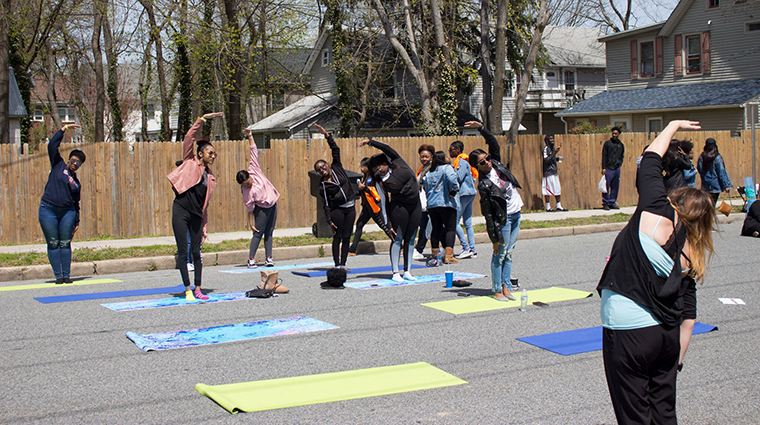 The goal of Open Streets is to “Get up and outside” and NCALL accomplished this goal with the help of many partners, including the University of Delaware. Event organizers say the Open Streets project also encourages people to use active modes of transportation, engage in healthy living, and rethink Dover’s streets as public space, while also promoting local businesses, sustainable transportation, and civic pride in the city where participants live, work and play. Other partners at Open Streets included Bayhealth, which provided free blood pressure screenings, and the Delaware Department of Transportation (DelDOT), which showcased a drone demonstration. • October 20th from 8:00 a.m. to 11:00 a.m.